President Barack Obama will make a statement on the economy later, setting the stage for a political showdown over a looming budget crisis. 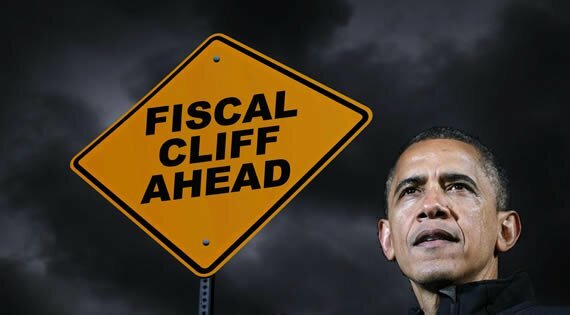 Barack Obama is expected to discuss the so-called fiscal cliff, a package of tax rises and spending cuts due early next year unless Congress acts. Barack Obama has repeatedly called for the wealthy to pay more taxes, but such a plan is anathema to Republicans. The fiscal cliff would see Bush-era tax cuts expire at the end of 2012, combined with automatic, across-the-board reductions to military and domestic spending. The International Monetary Fund has repeatedly warned that failure by US lawmakers to reach a deal would deepen uncertainty over the global economy. Investor concerns over the issue have been partly blamed for two straight days of losses on financial markets. John Boehner, leader of the Republican-controlled House of Representatives, told ABC News on Thursday: “Raising tax rates is unacceptable. John Boehner reiterated his opposition to tax rises in a news conference on Friday morning. He spoke shortly before Barack Obama was due to deliver his statement from the East Room of the White House at 13:05. The president’s statement could set the tone for his second-term working relationship with Republicans, whom he has battled repeatedly over the last four years. A White House official said the president’s oft-stated call for tax rises on the wealthy has been vindicated by his resounding victory over Republican challenger Mitt Romney in Tuesday’s election. “One of the messages that was sent by the American people throughout this campaign is … [they] clearly chose the president’s view of making sure that the wealthiest Americans are asked to do a little bit more in the context of reducing our deficit in a balanced way,” senior White House adviser David Plouffe was quoted by Reuters news agency as saying. Barack Obama’s position has been that taxes should rise on earnings above $250,000. John Boehner says his party is willing to countenance cutting loopholes and special exemptions, but only in exchange for an overhaul of the tax code. Republican lawmakers also want cuts to federal healthcare programmes such as Medicare, Medicaid and food-stamp assistance for the poor. A Congressional Budget Office (CBO) report published on Thursday warned that the US economy would fall back into recession if no deal were struck on the fiscal cliff. The analysis projected that the package of tax rises and spending cuts would cut the ballooning US deficit by $503 billion through to next September, but also shrink the economy by 0.5% and cost millions of jobs. Meanwhile, as Barack Obama turns his attention to shaping a second term in office his administration is expected to undergo a shake-up in the coming weeks. Secretary of State Hillary Clinton, Defence Secretary Leon Panetta and Treasury Secretary Timothy Geithner are among those expected to leave their posts. Speculation has been swirling in Washington over possible replacements, with Democratic Senator John Kerry among those tipped as a substitute for Hillary Clinton. Meanwhile, Republicans are trying to find out what went wrong their presidential election campaign. The party’s officials said they would poll voters extensively in battleground states, as well as holding focus groups and discussions with supporters. The review would not attempt to alter the party’s ideological base, Republican National Committee spokesman Sean Spicer told the Washington Post. “This is no different than a patient going to see a doctor,” Sean Spicer said.